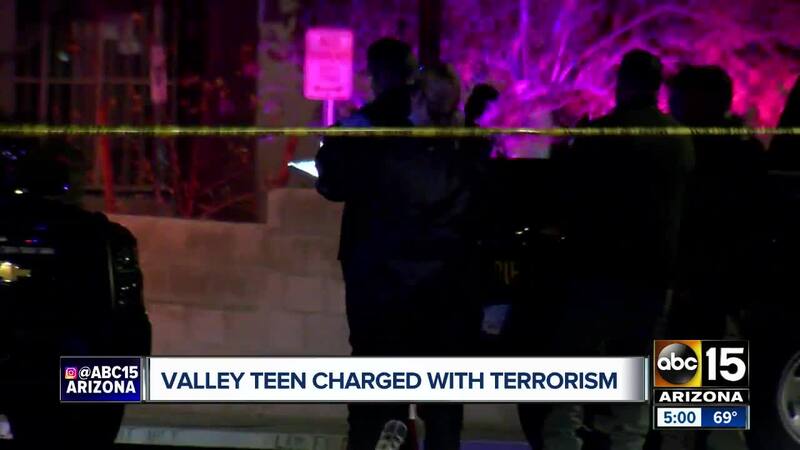 An 18-year-old man who was shot by a deputy from the Maricopa County Sheriff's Office in Fountain Hills earlier this month has been charged with two counts of terrorism, according to court records. 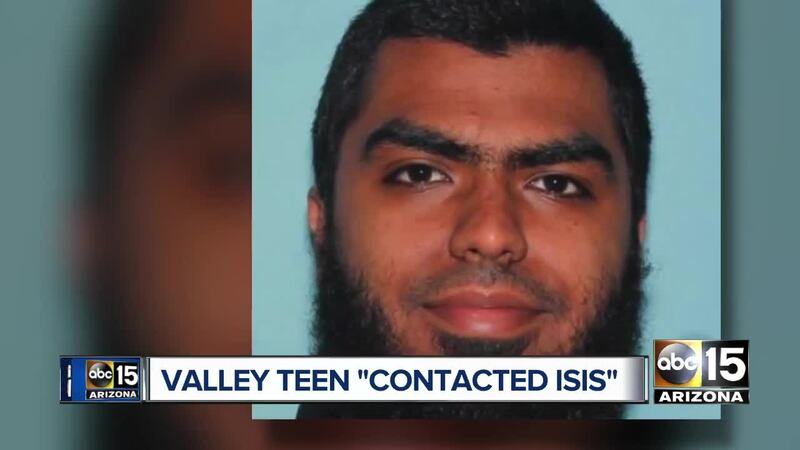 An 18-year-old man who was shot by a deputy from the Maricopa County Sheriff's Office in Fountain Hills earlier this month has been charged with two counts of terrorism and aggravated assault with a deadly weapon, according to court records. 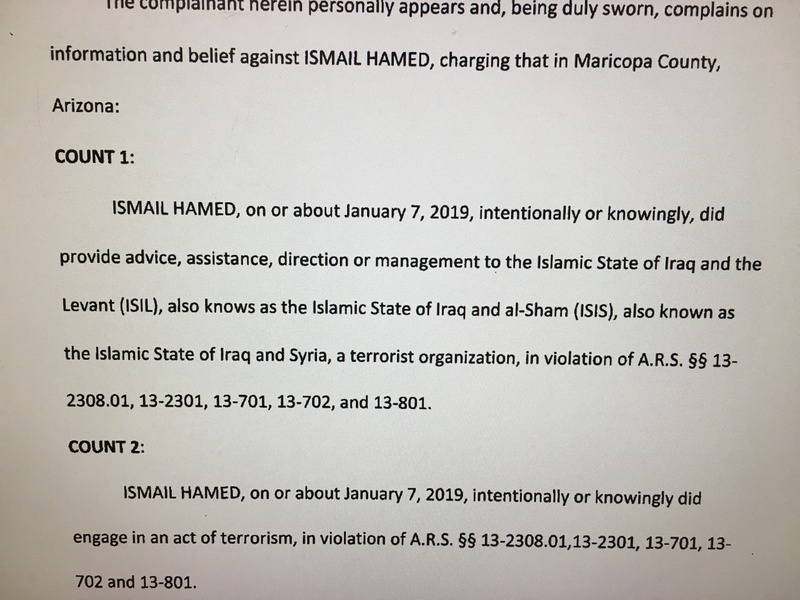 Court records obtained by ABC15 state that Ismail Hamed provided "advice, assistance, direction or management to the Islamic State of Iraq and the Levant (ISIL), also knows as the Islamic State of Iraq and al-Sham (ISIS)." In a press conference Thursday, the FBI says they had no previous knowledge or any red flags connected to Hamed. 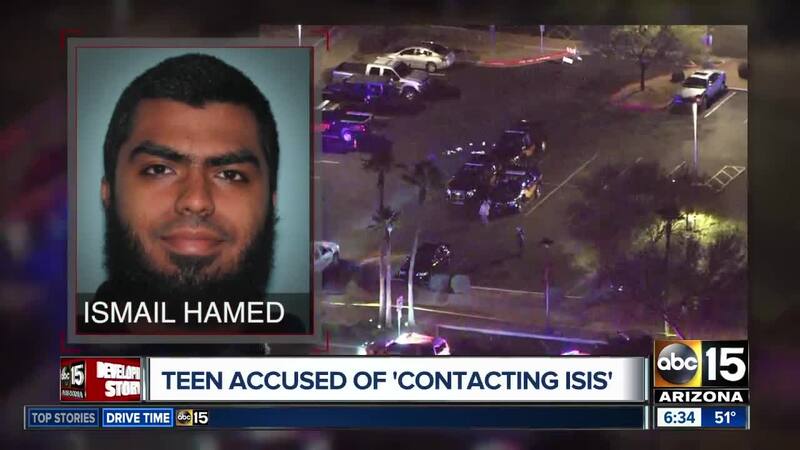 The FBI says there are no outstanding threats connected to Hamed that have been located. MCSO and the FBI held a press conference at 4 p.m. Thursday on this case. You can watch that video in the player below. MCSO says on January 7, they were contacted by Hamed near La Montana Drive and Avenue of the Fountains because he wanted to talk to a deputy. 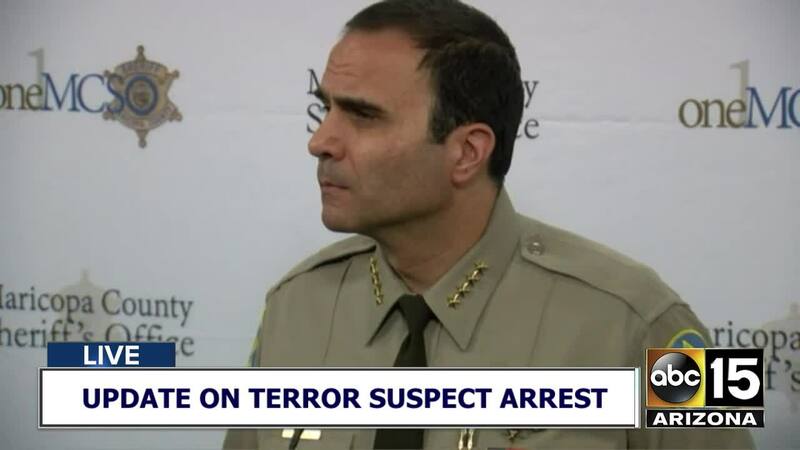 At about 5:30 p.m., an MCSO sergeant contacted Hamed, who allegedly began throwing rocks at the sergeant. After being asked to stop, Hamed then pulled out a knife and advanced toward the sergeant, according to MCSO. MCSO says the sergeant again told the suspect to stop, before shooting him to stop the threat. Hamed was taken to the hospital for treatment and was booked into jail the next day. No other injuries were suffered in the incident. Court paperwork shows that Hamed was initially charged Monday with aggravated assault against a MCSO deputy. 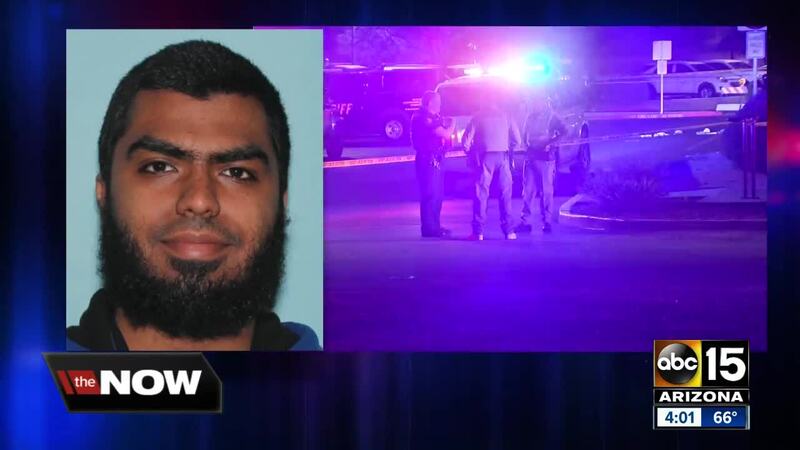 Terrorism charges were filed separately on Tuesday. Brad Garrett, who was an FBI agent for 21 years, said the attack was "relatively a poor attempt" but that it fits with the ISIS playbook. "ISIS in particular encourages people to launch their own attacks. At the police or anybody else that they think are worthy targets," he said. The attack though comes as a shock to people who knew Hamed as a former classmate and co-worker. "I know the kid, I trained him at Target. He didn't show any signs of aggression or anything. Just super quiet, that's all I can say about him," said a former co-worker. "I was just very shocked. He seemed like a super nice person. Very gentle, very kind and I distinctly remember his laugh just being jolly," said a former classmate. The FBI is not saying what evidence they have, but the investigation is far from over. 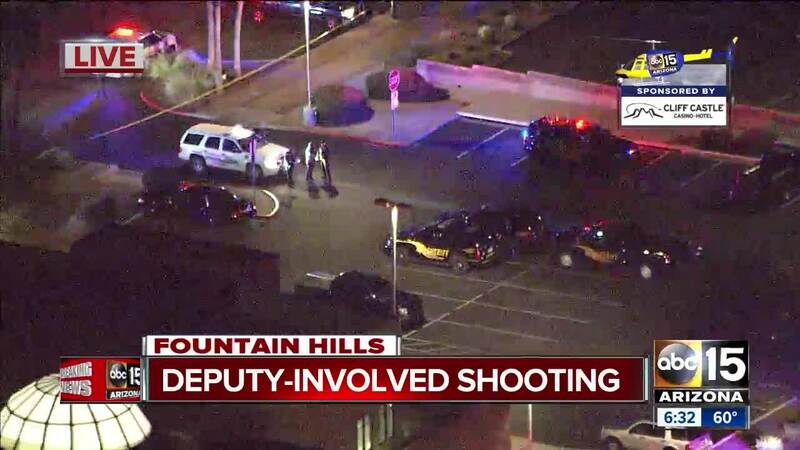 Stay with ABC15 and abc15.com for the latest updates on this developing story.